KPMG SA is hoping that incoming CEO Ignatius Sehoole will be able to restore its battered reputation, the firm’s executive chairperson Wiseman Nkuhlu said this week. The company’s reputation is in tatters after it was revealed that its partners turned a blind eye to corruption when auditing Gupta-related entities and VBS Mutual Bank, and was further damaged when its report into the alleged rogue unit at the SA Revenue Service (Sars) was dismissed. This caused KPMG to lose scores of clients, which has seen its annual revenue drop by R1 billion to R2 billion, said Nkuhlu, who joined KPMG SA’s board in March. “KPMG SA has been making losses,” he added. However, KPMG SA had the financial backing of KPMG International for five years, so it would be able to weather the storm, he said. “The budget is underpinned, guaranteed and subsidised by KPMG International,” Nkuhlu said. “One of the things you hear in the market is that KPMG is about to collapse – far from it,” he added. Major clients that KPMG has lost include the Absa Group, Gold Fields and Nedbank. As a result of the losses, the company cut its staff from 3 000 people to 2 000. The firm’s partners have dropped from 180 to 130. “We are a smaller firm, but we have paid the price for the mistakes,” Nkuhlu said. KPMG this week announced that it had appointed Sehoole as its new CEO. He will take up the post on May 1. Sehoole was previously deputy CEO of PwC and a former executive president of the SA Institute of Chartered Accountants. “The appointment of Ignatius Sehoole marks a new chapter – a new phase of renewal,” Nkuhlu said. There was unhappiness in some circles when Nhlamulo Dlomu was appointed last year to head KPMG SA as the Auditing Profession Act has been interpreted as requiring that auditing firms be headed by registered auditors. Dlomu had a background in human resources. “The Independent Regulatory Board for Auditors at the time didn’t object rightly [to Dlomu],” Nkuhlu said. Dlomu was appointed to bring “stability and hope, and avoid a situation where a firm would haemorrhage and a large number of people would exit”, he said. Dlomu left last month to take up a “global role” in KPMG. The processes at KPMG have been improved and the “chances of another VBS are reduced now to an absolute minimum”, said Nkuhlu. As part of changing KPMG’s culture, the company invited NGOs that work with issues of culture, ethics and anticorruption to “engage with KPMG partners”. “We have lost sight of the fact that, as an audit profession, we are expected to serve the public interest,” he said. The second leg of the plan to return KPMG to its glory days will focus on “internal culture workshops”, where KPMG staff will have a chance to speak about how they experienced the company. These workshops would be facilitated by someone outside KPMG. The third leg will focus on addressing the work habits of KPMG staff. KPMG International representatives undertook an audit file review of KPMG SA’s work. “That exercise took three months. It was concluded in October. What it shows is that, over the years, sloppiness has developed,” Nkuhlu said. As a result of this, KPMG would be monitoring audit work more closely, he said. Major clients that are still on board include Old Mutual, Investec, Sappi and Standard Bank. The crisis at KPMG had allowed the company to introduce “innovations”, Nkuhlu said. One of these steps was at the governance level, where KPMG SA has included independent non-executive directors on its board – previously, only partners sat on the board. 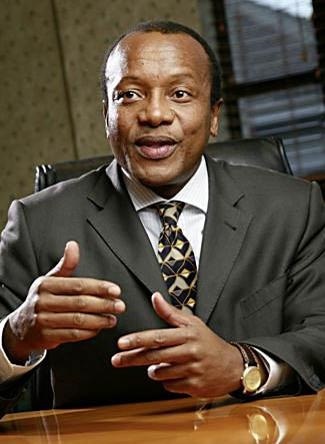 The Ntsebeza Commission of Inquiry was convened by the SA Institute of Chartered Accountants to investigate allegations that some of its members who were working for KPMG breached their professional code of conduct. Nkuhlu said he expected the Ntsebeza report to be released in the next two weeks. However, he added that the report was likely to cause further negative sentiment towards the firm. KPMG had paid back the R23 million in fees that it charged Sars for its investigation into the “rogue unit”. “We have recently finished allocating the fees that we earned [R47 million] from the Guptas, anticorruption NGOs and education NGOs,” he said. On Monday, December 3, KPMG clarified that R24 million of the Gupta fees would go to education projects and R23 million would got to anti-corruption NGOs. “The payments will be made soon,” Nkuhlu said. A “very urgent matter” for Nkuhlu was to re-establish a relationship of trust with the Independent Regulatory Board for Auditors. KPMG in the UK has decided to cease doing nonaudit work for companies on the FTSE 350 Index – the first major company in that country to do so after a number of scandals. Nkuhlu said that splitting audit and nonaudit work at KPMG SA was on the agenda. “We still have significant capacity to reclaim our position as one of the top four audit firms in the country,” he said. What do you think of KPMG’s plans to save its reputation? Do you think it is too little too late?